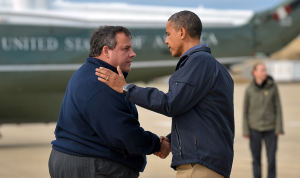 Governor Chris Christie greets President Obama to tour Hurricane Sandy damage. It has been a bad couple of weeks for New Jersey’s Republican Governor Chris Christie. Last week he fired one of his top aides when internal documents showed that high-level members of his staff conspired with members of the Port Authority to bring traffic to a halt and shut down two of three lanes across the George Washington Bridge as political retribution against Fort Lee mayor Mark Sokolich, a Democrat. Mayor Sokolich believes that Governor Christie was punishing him because the mayor refused to endorse him in his 2013 re-election bid. However, political commentator Rachel Maddow believes there was another target. She suggested that based on the date of an email sent to members of the Port Authority to cause “traffic problems” indicate that the real target was State Senator Loretta Weinberg, who represents Fort Lee and is the New Jersey senate majority leader. Christie and New Jersey Democrats had been doing battle over New Jersey State Supreme Court nominees. What has been dubbed the Christie bridge scandal is still unfolding. 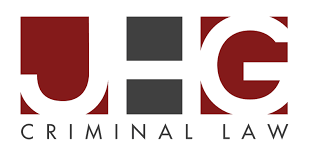 The inquiry appears to have been initiated by New Jersey state representative Frank Pallone who asked the inspector general of the Department of Housing and Urban Development to investigate how the Governor spent the money approved by that department. Assuming Christie survives the bridge scandal, it will be interesting to see how conservatives react to this latest scandal involving allegations of misuse of federal funds they criticized him for taking in the first place. National conservative figures mostly derided Christie for accepting help for his state and the photo opt it produced with him touring damaged areas in New Jersey with President Obama. Now that he is under investigation by a federal agency, the simple minded will see it as the Black President attacking a Republican white male and perhaps close rank with Christie or will this new scandal derail his plans for a 2016 run for the White House?